While many piled on Ben Stiller and Owen Wilson's 2015 film Zoolander 2, the pair have not completely retired their fashion alter-egos. Instead, a long-awaited Zoolander animated movie is finally here. 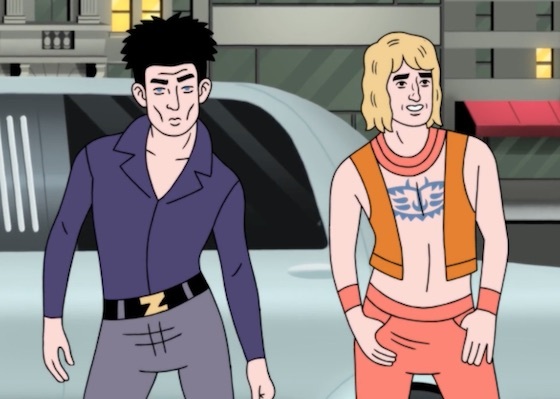 Called Zoolander: Supermodel, the series was produced by the famed Brooklyn animation house Augenblick Studios (Superjail!, Wonder Showzen, Ugly Americans). The film boasts a seriously impressive cast. In addition to Stiller and Wilson, it includes voice acting from Patton Oswalt, Jenny Slate, Nick Kroll, Tim Gunn, Christine Taylor, Jerry Stiller, Rashida Jones, Andy Daly, Julie Klausner, Jon Daly, James Adomian, Katy Perry, Leighton Meester, Heidi Klum and Kim & Khloe Kardashian. It's unclear when or how the movie will arrive in North America, though it's currently streaming on Netflix UK. Until then, you can enjoy the film's really, really, ridiculously good-looking trailer below.